MacBook Air: A Little Too Pretty? "Axiotron's Modbook is a modified MacBook running Mac OS X that has had its screen and keyboard severed and replaced with the tablet screen. "If you live all day in Adobe Illustrator, Photoshop, or some other visual Mac app, Axiotron has its eye on you. The company makes the long-awaited Modbook Mac tablet, designed for designers, illustrators, and other visually creative professionals. "'It's for people who draw, scribble, and paint,' said Axiotron CEO Andreas Haas. We sat down with Haas for a one-on-one interview recently." PR: Apple announced on Wednesday that MacBook Air, the world's thinnest notebook, is now shipping. MacBook Air measures an unprecedented 0.16" at its thinnest point, while its maximum height of 0.76" is less than the thinnest point on competing notebooks. Apple also announced that the new Apple TV software update, which allows users to rent high definition movies directly from their widescreen TVs, is not quite finished. Apple now plans to make the free software download available to existing Apple TV customers in another week or two. MacBook Air has a stunning 13.3" LED-backlit widescreen display, a full-size and backlit keyboard, a built-in iSight video camera for video conferencing, and a spacious trackpad with multitouch gesture support so users can pinch, rotate and swipe. MacBook Air is powered by a 1.6 GHz or 1.8 GHz Intel Core 2 Duo processor with 4 MB L2 cache, and includes as standard features 2 GB of memory, an 80 GB 1.8" hard drive, and the latest 802.11n WiFi technology and Bluetooth 2.1. The new MacBook Air is now shipping and will be available through the Apple Store, Apple's retail stores and Apple Authorized Resellers for a suggested retail price of $1,799 (US), and includes: 13.3" LED-backlit glossy widescreen display with 1280 x 800 resolution; 1.6 GHz Intel Core 2 Duo processor with 4 MB L2 cache; 800 MHz frontside bus; 2 GB of 667 MHz DDR2 SDRAM; 80 GB hard disk drive with Sudden Motion Sensor; Intel Graphics Media Accelerator X3100; Micro-DVI port (includes Micro-DVI to VGA and Micro-DVI to DVI Adapters); built-in iSight video camera; built-in AirPort Extreme 802.11n wireless networking and Bluetooth 2.1+EDR; one USB 2.0 port; one headphone port; multitouch TrackPad with support for advanced multitouch gestures including tap, scroll, pinch, rotate and swipe; and 45 Watt MagSafe Power Adapter. Build-to-order options and accessories for MacBook Air include the ability to upgrade to a 1.8 GHz Intel Core 2 Duo processor; 64 GB solid state drive, MacBook Air SuperDrive, Apple USB Ethernet Adapter, Apple USB Modem, Apple MagSafe Airline Adapter, Apple Remote and the AppleCare Protection Plan. Additional build-to-order options also include preinstalled copies of iWork '08, Logic Express 8, Final Cut Express 4 and Aperture 1.5. "Compromises limit appeal of Apple's lightest-ever laptop," says Macworld's Jason Snell in a major review of Apple's new baby 'Book. "If the story of the MacBook Air is a story about compromise, the decision about whether the MacBook Air is a product worth having can be answered by one question: How much are you willing to compromise?" "The first thing I did upon realizing that I'd be reviewing the MacBook Air for Macworld was sigh heavily and curse my luck. Not that I'm not lucky to get to play with the MacBook Air - I'm excited about that. No, my sigh was one of realization. Realization that my current MacBook was stocked with a 160 GB hard drive, a drive that was nearly full. "In order to fit my life into the MacBook Air, I was going to have to remove half the data from my hard drive in less than a week. "This is the story of my crash MacBook diet...."
"It didn't take long for Apple's new laptop, the MacBook Air, to set off an intense struggle between my heart and my head. Without doubt, the Air is the best looking and the sexiest computer ever designed. But a computer is a tool, not an objet d'art, and there are a lot of practical shortcomings forced by Air's minimalist design." Link: MacBook Air: A Little Too Pretty? "What Apple ended up receiving for the MacBook Air is a custom-built Core 2 Duo 9000 series, multi-core, multi-gigahertz, sub-25 watt chip in very compact package. And Apple got it exclusively until this fall...."
"Another potential problem is jumpy or jerky video when using the MacBook Air's built-in camera...."
"One of the first questions that popped into my head was whether there would be limitations on what Remote Disc could do when acting as a drive for the MacBook Air. Booting isn't an issue (a feat which I wouldn't have imagined back when AirPort debuted). However, it's compatibility isn't perfect. "We know it won't write discs already (hardly surprising considering the lack of data reliability over a network link). Did you know though that you won't be able to watch DVDs either?" "When it comes to storage, the newly unveiled MacBook Air offers an 80 GB, 4,200-rpm Parallel ATA hard drive as part of its standard configuration. However, that's not the only option - would-be MacBook Air buyers can also order the laptop with a 64 GB solid-state drive (SSD). "The price for that downgrade in storage capacity: $999 on top of the $1,799 asking price for the standard MacBook Air. So why would you pay so much more for less? Because, for some mobile users, solid-state storage is a compelling alternative to traditional hard drives...."
"Several readers asked us about compatible SSDs to be installed in MacBook Air. "You will need 1.8" PATA SSDs, with a 5mm thickness and featuring a ZIF socket. As there are different sizes of ZIF, you will need the smallest version." "One of the oddities of the MacBook Air is, as a system without a FireWire port, an optical drive, or an accessible hard drive, the act of reinstalling Mac OS X and migrating your files from your old system to this new one is more complicated than it has been in the past. "But Apple has taken the MacBook Air's release as an opportunity to upgrade its Migration Assistant - which previously focused on transferring files via FireWire - and other software in order to make life easier for MacBook Air users and, presumably, other Mac users via some future software update." "Ouch, we just tested and confirmed that one of the smallest (and thus likeliest to fit) USB EV-DO modems around, the Sprint / Novatel U727, won't even come close to fitting in the cramped, foldaway USB port on the MacBook Air...."
"Apple's smug 'Mac versus PC' adverts give the impression that using a MacBook means dealing with the computing equivalent of an obnoxious, self-satisfied slacker. Happily the reality is very different: it comes pre-loaded with Leopard, which is indisputably easier to use than Vista, and the ability to dual boot with Gates' OS gives it a real leg-up compared to Windows-only laptops." Cnet Networks' TechRepublic runs a regular series called "Cracking Open" in which it takes a look inside a variety of gadgets. CNET News.com is publishing this excerpt. "With an innovative design that was meant to grab your attention, the original clamshell iBook from Apple generated almost as much buzz in the IT world as the more recent iPhone. In 1999, personal computer users were generally stuck with the familiar black rectangle laptop, but the iBook came in blueberry and orange and was shaped like a clamshell (toilet seat?). But what was the iBook like on the inside? We find out in this TechRepublic 'Cracking Open' gallery." "In the era of MacBooks, MacBook Pro's and MacBook Air's, an iBook looks like a dinosaur. However, if it still works, that machine will still be useful for some purposes. "Reboutte, a member of our fora, decided to repair a broken iBook - apparently a wire had come loose, and made a short circuit." "This developer note gives a technical description of the Intel Core 2 Duo MacBook Air computer introduced in January 2008. The purpose of this note is to provide information about the computer's internal design, input-output features, and expansion capabilities to help developers design products compatible with the MacBook Air. "The MacBook Air is designed for portability and a completely wireless experience. 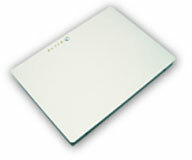 One of the reasons why the design is so thin, is that it does not include an optical drive. 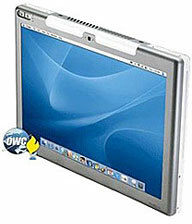 To load software, the MacBook Air can access the optical drive of another Mac or PC using the Remote Disc feature. For complete instructions on using Remote Disc, refer to the MacBook Air User Guide that shipped with the computer. "The system requirements for using Remote Disc with the MacBook Air are Mac OS 10.4.10 or later or the latest version of Windows XP or Vista." "The Mac OS X 10.5 installation media that shipped with your MacBook Air is designed for use on this computer only and not intended for any other computer. "The installer prevents this software from being installed on other Macintosh computers. Furthermore, other Mac OS X 10.5 installation media should not be used when restoring the system software on your MacBook Air." Get to know the ins and outs of your MacBook. Discussions forums - Seek help from other MacBook users. Software Update - Having issues? First update your software. If you need information about fixing an issue, try these Apple articles. PR: FastMac has announced the first and only high capacity, extended life battery upgrade for Apple's 17" MacBook Pro computer. The new 71 Watt hr. battery, which is compatible with all models of the 17" MacBook Pro, uses Lithium-Polymer cells (with integrated charge indicator LEDs) that are manufactured to the highest quality standards and utilize TruePower technology to provide a safe computing experience. With this offering, FastMac rounds out its line of battery upgrades to include ALL models of MacBook and MacBook Pro computers, thereby becoming the only company, besides Apple, to offer a full line of batteries for Apple's newest portables. FastMac's TruePower battery for the MacBook Pro 17" is scheduled to ship within 10 days and is available for pre-order from www.fastmac.com for a special introductory price of $99.95. Each battery carries a 1-year warranty and a 30-day money back guarantee. FastMac's TruePower line of battery upgrades replaces the computer's original battery with a larger capacity and longer lasting advanced power cell battery that utilizes TruePower technology. This technology incorporates sensors in the integrated circuit inside the battery that detect undesirable levels of swelling or a short circuit that will power off the battery in certain extreme conditions. "As a replacement, or a spare, our batteries not only last longer than Apple's original, they are also $30 cheaper," said Michael Lowdermilk, Business Development Manager for FastMac Performance Upgrades, Inc.
FastMac's line of TruePower batteries for laptops are engineered using the highest quality, high-capacity Lithium Ion or Polymer cells, keeping safety in mind at all times. FastMac utilizes custom form factors and materials to achieve a superior fit and finish, matching the original battery whilst increasing capacity. Each battery is individually tested and includes safety features to protect against overcharge, overheating, short circuits and power surges. All TruePower batteries carry at least a 1 year warranty and in some cases, a 2 year warranty. FastMac's TruePower line includes battery upgrades for all iPods & all Apple portables released since 1997, including the world's longest lasting PowerBook battery with up to 68% more capacity than the original. FastMac is also first to market a replacement battery for all of Apple's latest MacBook & MacBook Pro portables. FastMac's battery upgrades utilize TruePower technology- a patented material & energy management circuit that is designed to protect the battery's internal lithium crystal matrix from damage caused by power spikes. These spikes occur when the computer demands a sudden high current peak- for example, to turn on the backlight or to load the next data sectors. Over time, these power spikes decrease capacity, runtime and battery life, eventually rendering the power cells unusable. Through the use of TruePower technology, the energy management circuit is able to smooth out the power spikes and lower the rate of decay. This protects the battery and leads to a longer lifecycle. Not only does this extend the usability of the computer, it also helps the environment by curbing the depletion of chemicals and plastic materials used in battery products and reducing the number of waste batteries sent to landfills. More information about FastMac's battery upgrades is available via the website.